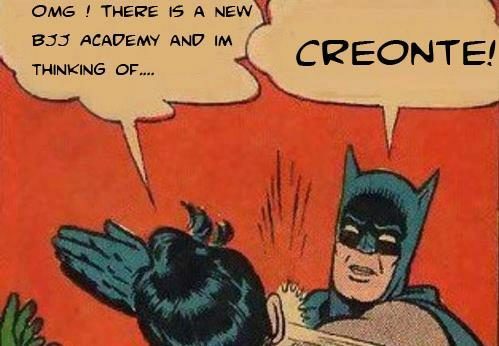 Who or what is a “Creonte”? 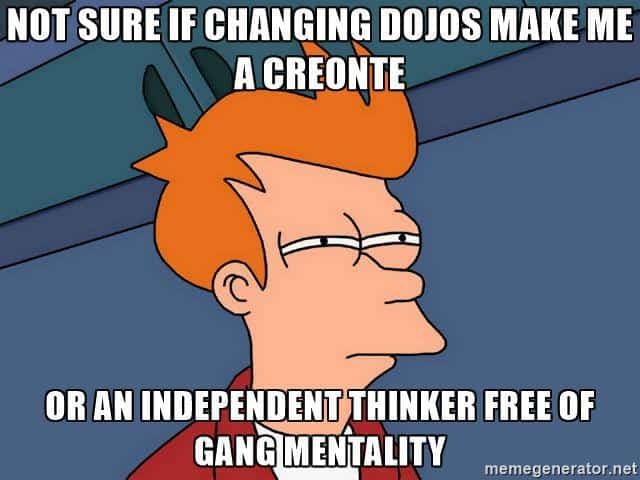 As a BJJ practitioner who treats his sport as a hobby and not as a lifestyle, one thing that really grinds my gears is the phrase “Creonte”. Believe it or not, Creonte was actually the name of a popular Brazilian soap opera character. Known for switching allegiances, the name was adopted by Grandmaster Carlson Gracie to label someone who switches bjj schools regularly. Carlson first used the word Creonte when referring to Vitor Belfort’s departure from Team Carlson Gracie to Brazilian Top Team. The term comes from a popular Brazilian soap opera that Carlson enjoyed, called Mandala. The show aired during 1987 and 1988 and featured a character named Creonte Silveira who became the basis for the term coined by Carlson. Brazilian actor Gracindo Junior portrayed the villainous character who constantly switched allegiances in order to save his own skin and come out on top, even if succeeding came at the expense of others. Carlson drew parallels between the soap opera’s self-serving character and his former prized pupil when Vitor left Carlson to train with his former teammates. The situation started a long time ago in Brazil. During the early days of BJJ, each school had very different styles, some used sweeps, others closed guard attacks and other top games. There were very few competitions then and when school met in an event, it was high time to check out if their new secret techniques worked against the unsuspecting other schools. At the time, there were no video cameras, so even in competition, the exchange of information was limited as few could understand and remember what technique caused what. The obvious problem for a school was when someone from its team would leave and start training at another school. That fighter would take all the new stuff and show to the enemy, therefore creating the huge stigma. Before you have a go at me and calling me one, hear me out. I understand that if jiu jitsu is your life and your fulltime job, then the phrase has a lot more meaning to you than it does for me. However, if you do the sport for the love of it and for your learning, your allegiances normally lie with your instructor and friends. What frustrates me is knowing that people are being labeled as Creontes because of a situation which they cannot control. Maybe they travel a lot with their work and want to train as much as they can, but they’re home club is a different team to the clubs they have been training at away from. The instructor catches wind of this and labels that person a Creonte. I’ve been in a situation where I could have been labeled as one but thankfully both of my instructors where understanding and have accepted that I grade with just one team. 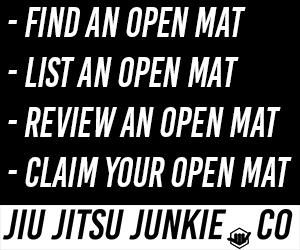 However, this is not the case with other teams, I’ve seen far to many examples of instructors making their students choose between teams, I understand that competitions come into this, but if that student isn’t competing in IBJJF competitions, why does it matter? Like Jerry Springer has his final word, I want to have mine. Why can’t we just accept people’s willingness to learn? I know some of the reasons are down to techniques, but really, there’s no super secret technique that won’t be found out after a tournament. Can’t we all just get a long? With this Creonte crap, I honestly believe this sport won’t grow as big as it could be.